It’s hard to disagree with the guiding principles behind the United Nations Convention on the Rights of Persons with Disabilities (UNCRPD): respecting dignity and individual autonomy, non-discrimination, full participation and inclusion in society, respect for difference and diversity, equality of opportunity, accessibility, gender equality and respect for children. But dig a little deeper and things get more complicated, particularly when it comes to mental health and the law. "What about the potential benefits of disability defences, which help to combat the disproportionate criminalisation of people with learning disabilities?" Take Articles 5 and 12 of the UNCRPD, for example. The former enshrines equality before the law, while the latter affirms that all persons with disabilities have full legal capacity. In other words, persons with disabilities should be allowed to act on an equal legal basis with others, for example, to marry, enter into contracts, act as a witness, vote or refuse medical treatment. All well and good. But the flip side is that they should also be held legally responsible for their actions on an equal basis with others. This means there can be no standalone criminal defence on the basis of mental ill health (often referred to as the “insanity defence”). Denying someone’s autonomy to carry out and take responsibility for a criminal act, says the UNCRPD, is treating them as a child not an adult – and so contravening their human rights. Another outcome of an ‘unfit to stand trial’ plea can be that people are detained anyway – effectively sentenced to ‘treatment’ without trial, which is an unfair deprivation of liberty. But what about the potential benefits of disability defences, which help to combat the disproportionate criminalisation of persons with mental health issues or learning disabilities? Arguably, stripping away all these protections can expose people to greater inequality in the criminal justice system. The UNCRPD came into force ten years ago, so these tensions are nothing new, and certainly don’t make the Convention worthless. What the broad principles need are context-specific and tangible plans to help them work in practice. Justice systems will have to change to make the UN’s vision a reality – and in some places around the world this is starting to happen. In Israel, for example, under the 2005 Investigation and Testimony Procedural Act (ITPA), only ‘special investigators’ — such as psychologists, social workers or clinical criminologists — may investigate somebody with a mental or learning disability. These investigators have to document the investigation, preferably by video, to ensure accountability and transparency. In Victoria, Australia, the police are required to secure an ‘independent third person’ (ITP) when investigating someone with mental health issues or learning disability, or the evidence given can be rejected in court. ITPs are trained volunteers who attend police interviews, ensuring the interviewee understands the questions and can even stop an interview if the interviewee becomes distressed or is unable to concentrate. They can help in contacting lawyers, friends or relatives, be present when police ask for fingerprints or body samples and go along to bail hearings at police stations. In England and Wales, mental health courts were piloted in London and Brighton in 2009 – but were not rolled out more widely. However, judges can use ‘ground rules hearings’ (GRHs) in criminal cases to direct how ‘vulnerable’ defendants and witnesses should be treated, particularly in how they can be questioned, making reasonable adjustments to ensure a fair trial. 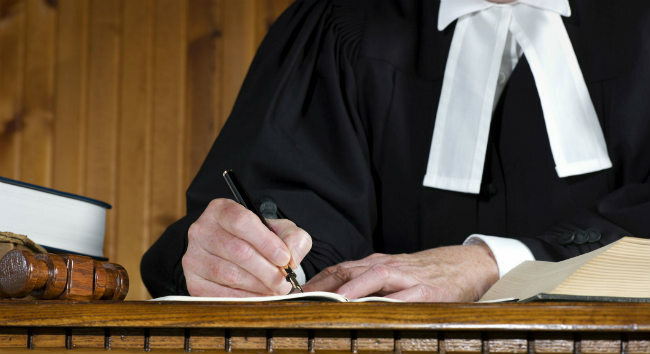 Judges and magistrates can also arrange for evidence to be taken by depositions or for the trial to take place other than in a courtroom, if a defendant or witness may be better able to give evidence in a familiar environment. They can also allow more time for a trial, where there may be a need to take evidence more slowly and with more breaks. Having these options available doesn’t mean they are always used when they should be, to ensure a fair trial. But they are a start. However, there is still no real alternative to an unfitness to stand trial declaration except – standing trial. Making accommodation and support for people with mental health issues or learning disabilities more widespread is the only way trials can take place and still be fair. At the moment, where countries are taking positive steps, these involve creating specialised alternatives or small adaptations of a general model. But true equality before the law will only come when there is a universal system which is fair to everyone – and we’ve a long way to go before that goal is achieved. Victoria Wicks and Julinda Beqiraj of the Bingham Centre for the Rule of Law recently co-authored a report by the International Bar Association and the Bingham Centre called ‘Access to justice for persons with disabilities: From international principles to practice’ which analyzed how some justice systems are adapting to implement the UNCRPD. NB - a version of this article also appears on our sister site, Mental Health Today.